Samsung has started pushing out a new update to its Galaxy Note5 smartphone. 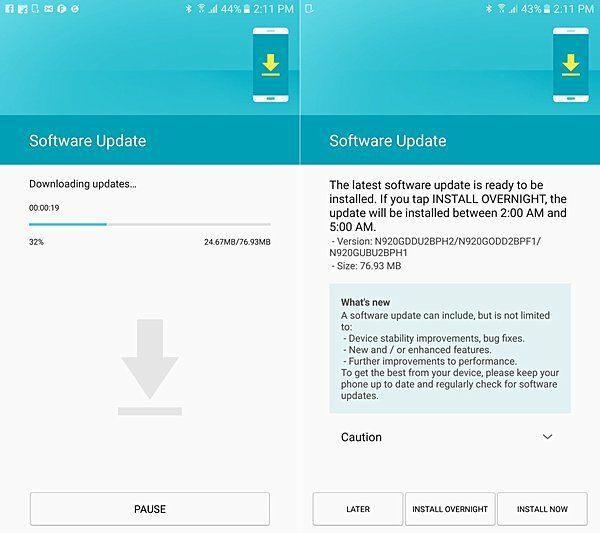 Currently rolling out in India, the update - which weighs in at 77MB and carries a build number of N920GDDU2BPH2 - brings Android security patch for the month of August. Aside from the latest security fixes, it isn't yet known whether or not anything else is included in the update - at least the change-log doesn't mention anything specific. As is usually the case with OTA roll outs, it may take some time for the update to hit your device. Meanwhile, if you feel impatient, you can manually check for the update by heading to your handset's Settings menu. Why does the battery get drainned so fast!!! My battery is at 30% at 3 pm in the afternoon and I do not watch any movies or anything!!!!!!!!!!!!! Thank you finally an honest response.